Austerity measures along with major modifications to the Brazilian constitution are posing a threat to the cultural survival of the country’s Afro-Brazilian and Indigenous populations, according to a new investigative report published by Brazilian media outlet Agência Publica. The new report specifically cites and explains several examples of how recent Presidential decrees and legal measures have negatively impacted Afro-Brazilians and indigenous peoples. “The government of Michel Temer, represents one the worst tragedies and most violent attacks to happen against Blacks since slavery,” Givânia Maria da Silva with the National Coordination for Rural Black Quilombola Communities (CONAQ) told Agência Publica. Earlier this year, Michel Temer issued a decree, which called for the immediate suspension of future land titles to traditional Afro-Brazilian communities, commonly referred to as Quilombola, which are areas historically inhabited by runaway slaves. In response to the presidential decree issued by President Temer, a counter-motion was filed arguing that the measure was in violation of Article 68 of the 1988 Brazilian constitution, which for the first time recognized the right of descendants of slave-era Quilombolas to receive lands from the state. 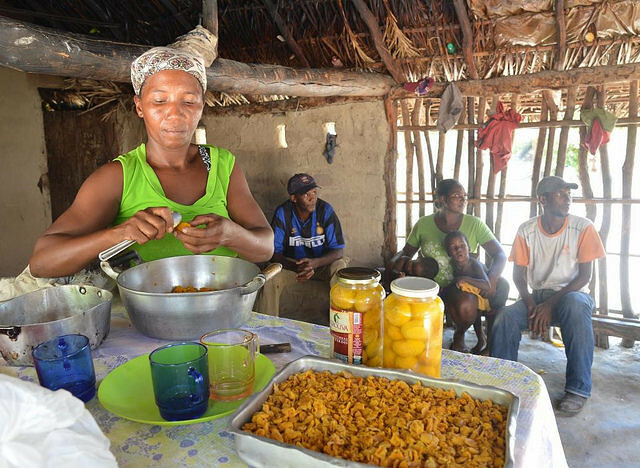 The legal recognition of Quilombolas plays an important role in ensuring the continuation of traditional cultural practices among Afro-Brazilian communities. According to the Brazilian government, there are 220 officially recognized Quilombolas throughout the country. However, according to INCRA, the state institution responsible for issuing land titles and establishing formally recognized territories, there are an estimated 1,500 Quilombolas communities that have yet to receive government recognition. “A Quilombola community cannot exist without it’s land,” a Quilombola community member Eduardo Santos told Agência Publica. The recent policies carried out by President Temer have provoked concerns that a lack of formalized territory could place many cultural traditions and practices in jeopardy. “Our land is where we are able to live in peace, where our ancestors, our grandchildren and our great grandchidren will be born,” Santos added. Among the 220 officially recognized Quilombolas communities, a vast majority of them were granted legal recognition by local and state governments. However, during last three years, the aggressive pursuit of economic austerity by local governments has significantly reduced the budget allocated towards formal land recognition. This is especially true in the State of Sao Paulo, where the revenue designated for issuing land titles was reduced from $13 million in 2014 to $300,000 in September of 2017. Meanwhile, the report carried out by Agência Publica, also noted that Indigenous groups have also suffered due to recent legislative measures implemented under the Temer administration. “We have concrete examples of devastating setbacks which demonstrate to us that this is the worst moment in Brazil’s history since before the restoration of democracy,” Indigenous leader Sônia Guajajara said. In July, President Temer approved a controversial set of legal recommendations, known as “Marco Temporal”, which states that historically marginalized peoples who were not occupying their lands on the exact date that the Brazilian Constitution was approved, would loose all legal rights to their traditionally occupied territories. Since President Temer assumed office, his administration has not established a single territorial boundary for Indigenous communities applying for formal land recognition. The continuous implementation of controversial measures coincides with plummeting approval ratings. Last month, according to one polling agency, approval ratings for the Temer administration plunged to 3%. Among under 24-year-olds, Temer’s approval hit zero.